We keep our kids' art supplies in this closet too. They're only allowed to color/paint under supervision, so that's what the big pad of paper & bin full of coloring books is all about... I'm sure you were dying to know. The lady I send mine to only takes colored bags. I take all the white ones back to Walmart & they recycle them. Hehe made me laugh about the lightbulb! :) looking great! wow looks awesome! great job!! Great job! 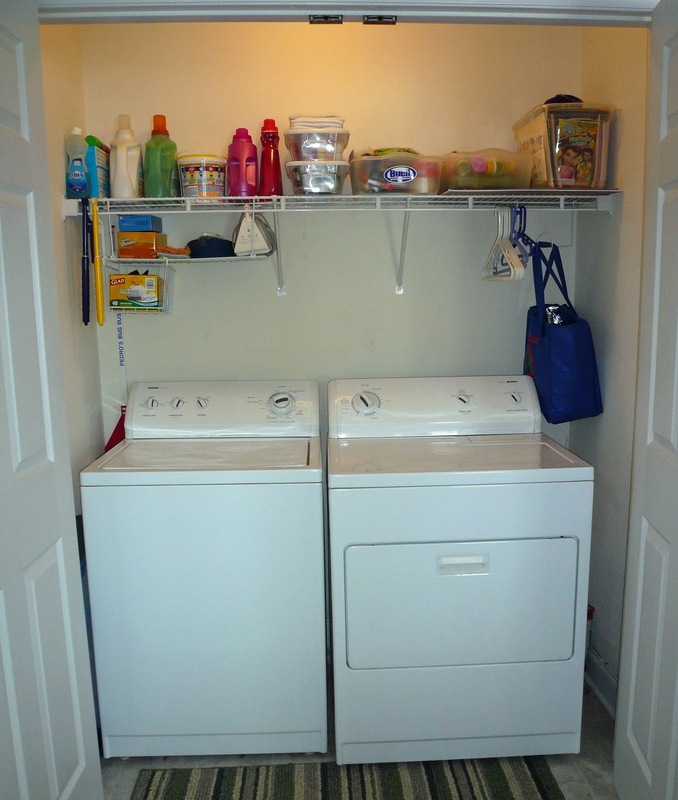 We have a laundry closet too and my before looked awful. 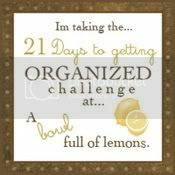 I am enjoying this challenge a lot. Fantastic! 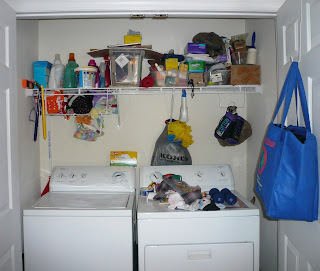 It's amazing how things without a home can clutter up a space. 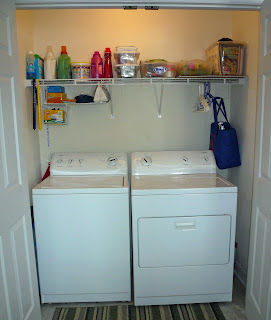 My laundry room was the same way...but now we're tidy! ;) Keep up the great work. Looks great! Laughed about the lightbulb. Awesome idea about plastic bags. I throw out too many cause I have so many already. need to get used to reusable ones, but I forget them. Love the shelf you have. Several have that kind of shelf. I'm going to have to go get one and have hubby put it up for me. I'm still catching up on challenges, but can't wait to get to this one, it needs it! The light bulb made a big difference, too ;) Ha, ha...great job and it looked like it was pretty easy! 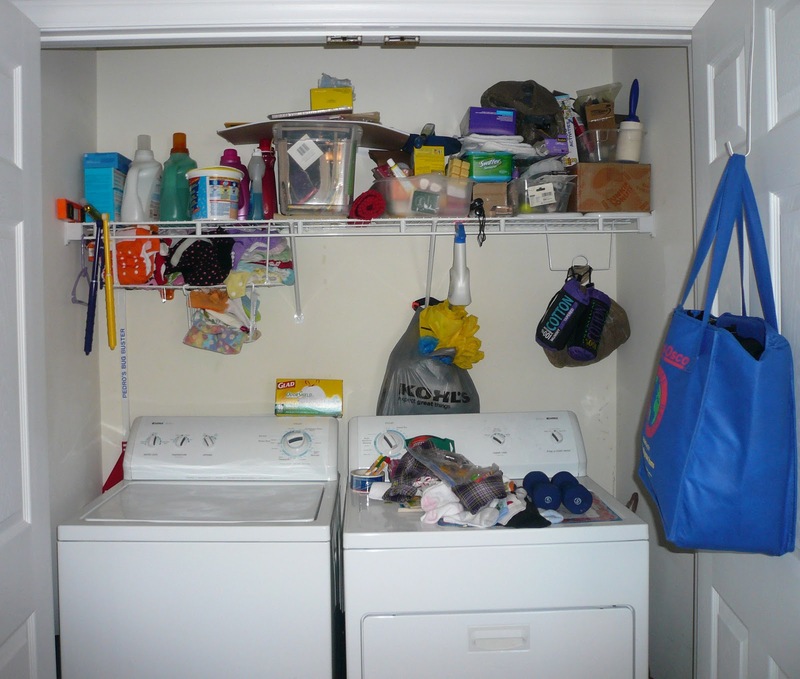 Keep up with the decluttering...it's seriously great tossing all that unwanted stuff! Super!